When your roof has grown old and weary over time and it needs to be repaired or replaced, the Mesa roofers at Blue Sky Roofing offer affordable roofing services to make sure your roof is restored to its proper state. Licensed and insured, Blue Sky Roofing offers emergency repairs for those times when you need your roof to protect you most. A+ rated with the Better Business Bureau, the friendly roofers at Blue Sky Roofing also provide free estimates to ensure that you know just what you’re in for when taking advantage of our excellent roofing services. Contact us today! When you need a Mesa roofing contractor that is licensed, and insured, and is family owned and operated, enlist the help of the trustworthy Mesa roofers at Blue Sky Roofing. 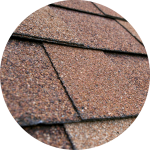 Owner Santos Chavez works to provide each and every customer with a satisfactory experience and can replace, repair, or install a variety of roofing types including shingle, tile, flat, plywood, and elastomeric coatings. With 24 hour roofing services, Blue Sky Roofing is proud to offer affordable emergency roof repairs. Trust the qualified Mesa roofing contractors at Blue Sky Roofing for all of your roof repair and replacement needs. 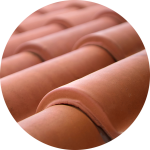 For quality tile roofing services in the East Mesa, trust the dedicated and skilled roofers at Blue Sky Roofing to take care of your tile roofing project. To get your shingle roofing repaired or replaced in Mesa area 85204, contact the roofing professionals at Blue Sky Roofing to get a free estimate! At Blue Sky Roofing, we work on a variety of roofing types all across Mesa, including repairs and replacement of flat roofing! 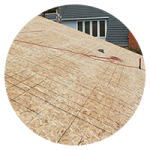 For repairs on your plywood roofing, Blue Sky Roofing can help make sure that your roof remains sturdy and resistant to leaks. 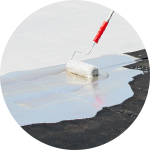 To add durability and sustainability to your roof, Blue Sky Roofing can apply a useful and flexible elastomeric coating to your roof. For a new roof patio, Blue Sky Roofing can implement beautiful design and luxurious features into your new roof patio with skill and precision. Why Choose Blue Sky Roofing? For a roofing company that is licensed and insured and can take care of your roof with precision and skill, trust the roofers at Blue Sky Roofing. When monsoon season approaches and your roof is in no state to protect your home, Blue Sky Roofing offers quick and affordable emergency roof repairs. At Blue Sky Roofing, we offer free estimates to help you make sure that your roof repair or new roof replacement is within your budget and timeline. From applying elastomeric coatings to your roof to installing new patios in your backyard, Blue Sky Roofing offers a variety of extensive services for the East Valley. To have your roof repaired by experienced and top rated roofers, Blue Sky Roofing offers affordable rates to ensure that your roof gets repaired. Hiring a trusted roofing professional to repair or replace your roof is easy when you consider Blue Sky Roofing’s A+ Rating with the Better Business Bureau. When you need a roofing contractor who can repair your commercial or residential roof in Scottsdale, trust the roofers at Blue Sky Roofing to repair or install your roof with expertise and skill. Family owned and operated, our roofers are professionally trained and qualified to take care of your roofing project. 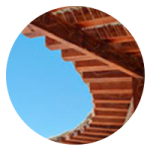 For a roofing company who serves the Phoenix area and residential homes and commercial businesses throughout the valley, trust none other than Blue Sky Roofing. We are dedicated to providing the highest quality roof repairs, installations, and replacements to make sure your roof lasts for a long time to come. 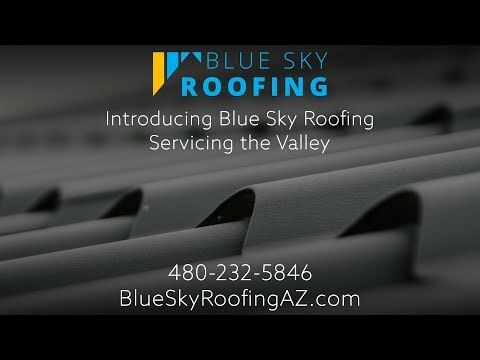 When your roof gets damaged or needs to be completely replaced due to old age and frequent weathering, the local roofers in Tempe at Blue Sky Roofing has extensive roofing surfaces to make sure that your roof remains durable and protected against the many elements that are harmful to our roofs. If your roof becomes damaged or has reached its peak in life, you need a roofing contractor in Glendale who can repair or replace your roof in a timely manner. At Blue Sky Roofing, our experienced contractors are dedicated to providing you with fast and affordable roofing services to keep your roof in tip top shape. At Blue Sky Roofing, we know just how important the state of your roof is to you. With top rated roofers to repair or replace your roof, you can trust that we will get the job done quickly and professionally. A+ rated with the Better Business Bureau, we are proud to be your top rated roofing company in Gilbert. For licensed and professional roofers who serve the Chandler area, come to Blue Sky Roofing. 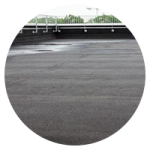 With 24/7 emergency roof repairs, roof installations, and services on a variety of roofing types, our roofing contractors are professionally trained to take care of your commercial or residential roofing project.